Even though the elliptical cross trainer E1 is the smallest of the E-series of Life Fitness, it knows how to convince. 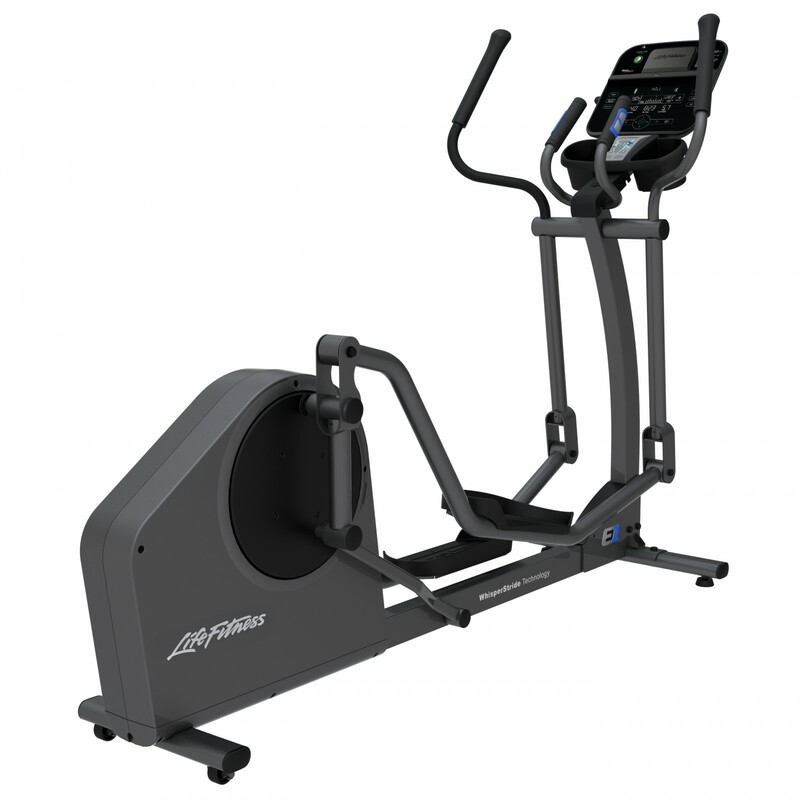 It offers an outstanding movement quality, for which Life Fitness elliptical cross trainers are well-known. The Link6 joint construction ensures a soft, very smooth movement; the elliptical movement is long and flat, making the movement natural and the training posture is very joint-gentle. The space of treads is very small. The load on external ligaments is hence minimal. Malpositions of hip and knees are prevented. The Track Connect console consists of a 17.8 cm big LCD touch screen display and a spacious holder for tablets or smarthpones. The console is divided in two zones: the entertainment zone and the training zone. In the lower training zone, you can quickly do all training settings. Hence, the Track Connect console offers as standard 17 diversified training programmes. It includes five heart rate programmes, among other things, for increasing the maximum performance or for fat burning. It's very effective, if you only have little time for the training: the HIIT programme – a high-intensity interval training. Four users can enter their personal data in the console and save it. In addition, every user can use three self-created programmes. The Connect console offers the possibility to place a smart phone or tablet and to connect it with the machine via Bluetooth. For mobile devices, many fitness Apps are available for download, i. e., LFconnect. This Life Fitness App offers you to do even more programmes with your fitness machine. In addition, you can track your training - and not only your elliptical cross trainer workouts! Using the App, different activities can be joined in one account! You can also call your training data from a permanently updated list of partner Apps. These include, i. e., the fitness Apps of Garmin, Nike or MyFitnessPal. Of course, you can also use your mobile device to watch a film while exercising. In addition, the Track Connect console is equipped with an energy save mode to save up to 90 % of power. Either doing an exhausting training with the elliptical cross trainer or start a slower training - you always create your workout evenly and at a considerate volume with the patented WhisperStride technology of Life Fitness. Thanks to the self-aligning joint design and the high-quality ball bearing, a concentric run and a silent workout are made possible on the elliptical cross trainer - and your fellows won't feel disturbed. 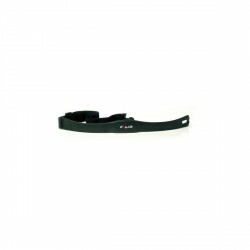 Life Fitness elliptical cross trainer E1 Track Connect add to comparison list.